Wahl Eversharp Doric fountain pen in the junior "vest pocket" size, from the 1930s. 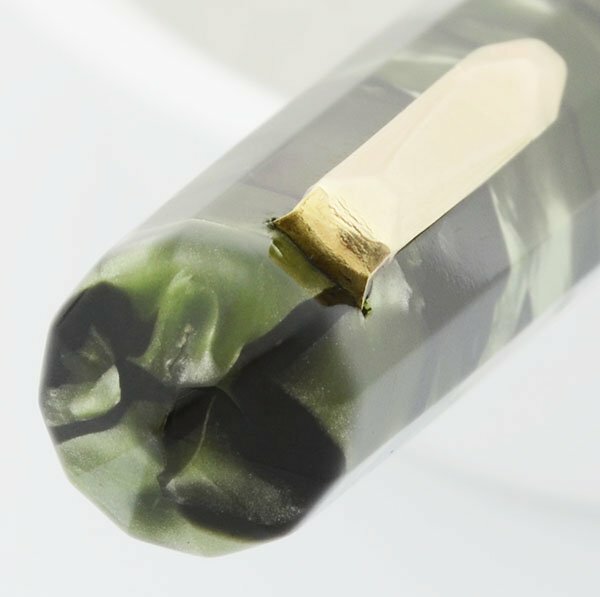 Lever filler in green marble celluloid with gold filled trim and a patterned cap band. Extra fine 14k Eversharp nib is manifold (firm). Very nice condition, fully restored and working well. 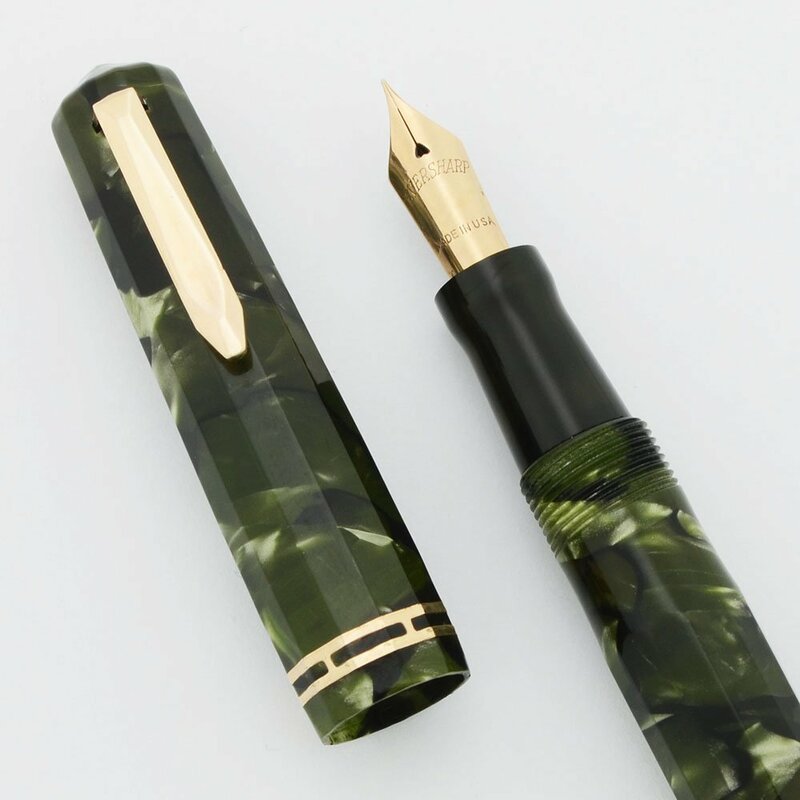 Type Vintage lever filling fountain pen with a flexible nib. Product Name Doric "vest pocket".... this is from the first series of Doric pens. Manufacturer and Year Wahl Eversharp, made in USA -- 1932-36. Length 4-7/16 inches, there is a lot of size variation among the Wahl Eversharp pens. Filling System Lever filler. We've replaced the sac and tested it. It's working very well. Color "Kashmir Pearl" aka green marble comprised of army, jade, pale green and black marbling. Gold filled trim with a patterned cap band and a short gold clip. Nib FLEXIBLE FINE Eversharp 14k nib. It writes with line variation from some flex. Condition Excellent condition for this beautifully colored small-sized pen that shines. The cap and barrel have moderate scratching throughout. The black section is partially discolored to a brown. The imprint on the cap is slightly faded, but readable, and there are some scratches on the very top of the cap. The trim and clip have scratching. There is one crack in the cap lip. There are no other cracks, chips, or serious scratches.